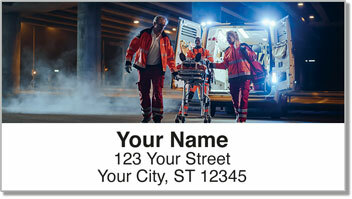 These career-themed return address labels were created as a tribute to the first responders who help in emergency situations at a moment's notice. Images of ambulances as well as the Star of Life symbol featuring the Rod of Asclepius let you show the pride you have in serving people who need help. Emergency Medical Technicians need to think fast and keep cool under the most stressful of circumstances. 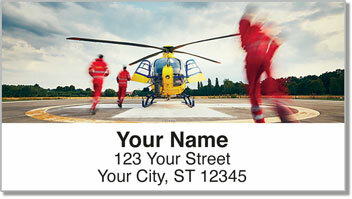 But thankfully, these return address labels help to make your everyday life a little less intense. They are printed on stock with self-adhesive backing, so the tedious chore of filling out envelopes becomes fast and easy. 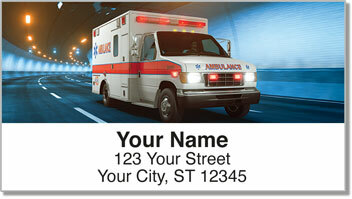 Get your own EMT Address Labels right now! 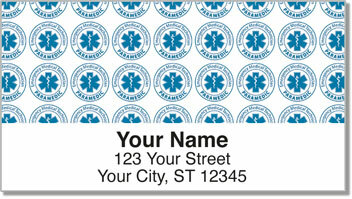 Complete your order when you add some matching checks.